Alexander is a web developer and former artist turned foodie! He moved out of his parents' house at an early age and initially learned to cook out of necessity and by experimentation. However, over the years he fell in love with food and different kinds of cooking techniques. 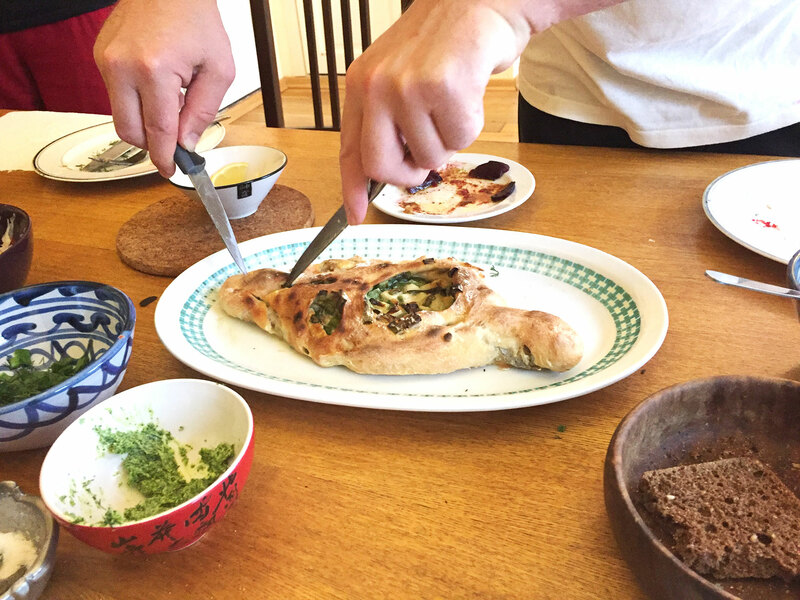 Nowadays his cooking is influenced by traveling to different countries, as he is always curious about what people of other cultures cook and eat. Alexander and his wife love to feed their friends and family - they arrange home dinners for up to 20 people at least three times a year. Meeting new people and sharing experiences has always been a joy for Alexander and his family and he is excited to meet travelers! In-home meal: (2-5 guests) Alexander’s stylish and modern apartment is well-located in the city center. It is beautifully decorated with souvenirs collected from various countries they have traveled to. Alexander is full of interesting information about the history of the neighborhood and their country. He and his wife are wonderful conversationalists. 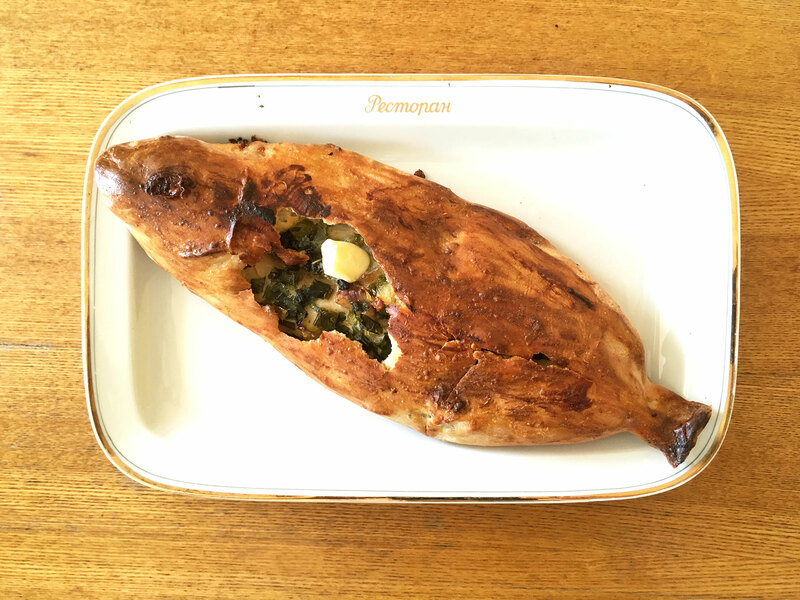 Alexander likes to serve dishes native to the people of northeast of European Russia, and a variety of traditional Russian specialties. 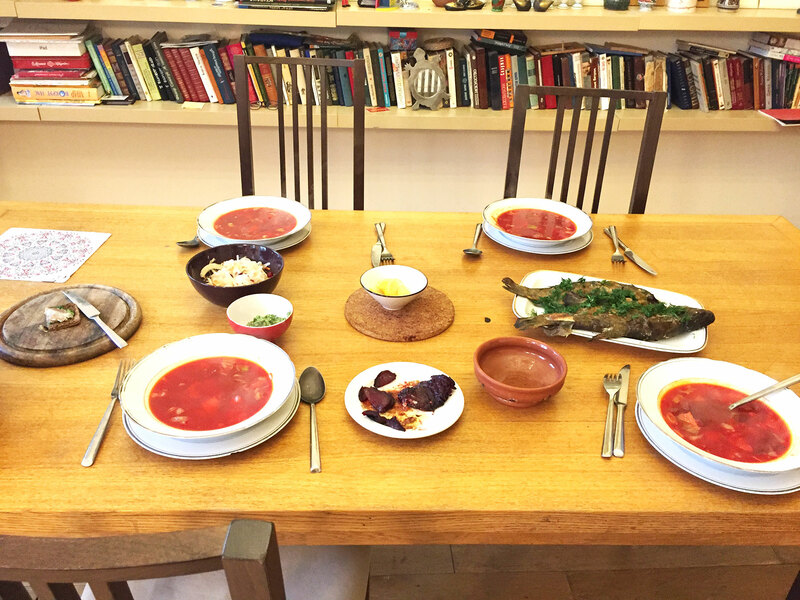 Your meal might include dishes such as Ukrainian borscht (beetroot soup), pickled cabbage and cucumbers, fish baked in bread and for dessert, cranberry mousse. Cooking experience: (2-5 guests) Alexander and his wife offer a cooking demo in their open-style, modern, and tidy kitchen. 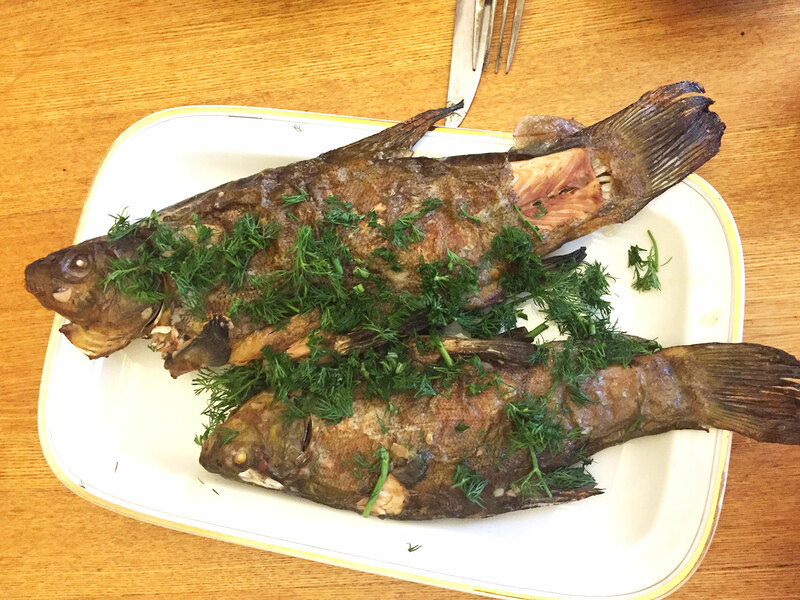 If the season is right, Alexander will show you how to make a dish that he makes by wrapping a whole fish in dough and baking it with onions and dill. 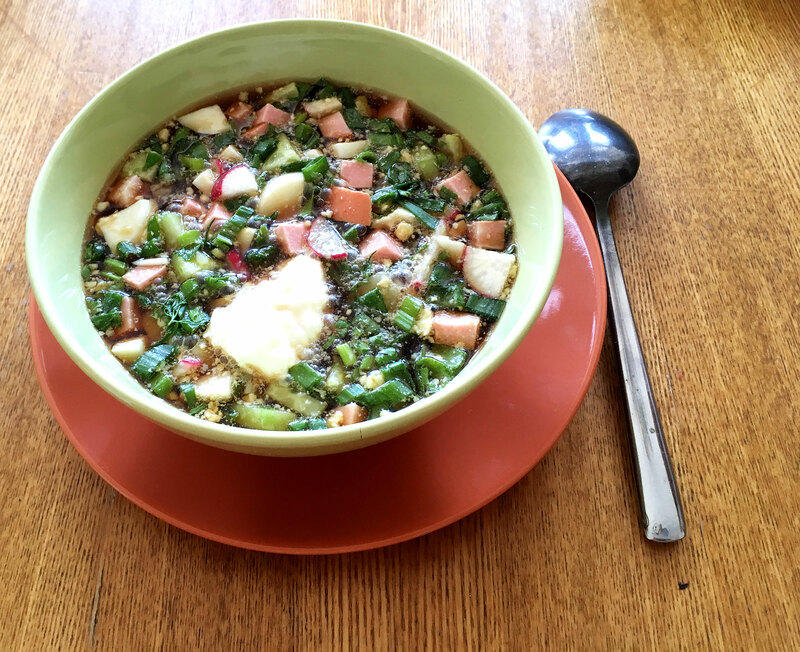 Learn about the Komi people and their history in Russia as you watch him cook this specialty dish. Alexander is proud of his roots and feels happy and honored to share his culture and traditions with people. 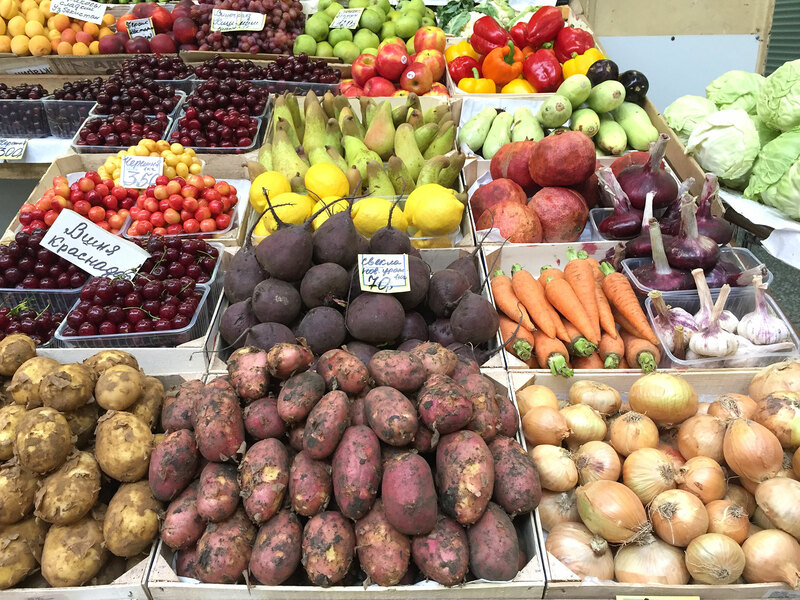 Market visit: (2-5 guests) After you meet Alexander at the exit of Gor'kovskaya metro station, you will walk for 15 minutes to Sytnyy rynok market (Сы́тный ры́нок). Sytnyy rynok, is the oldest market of St. Petersburg. 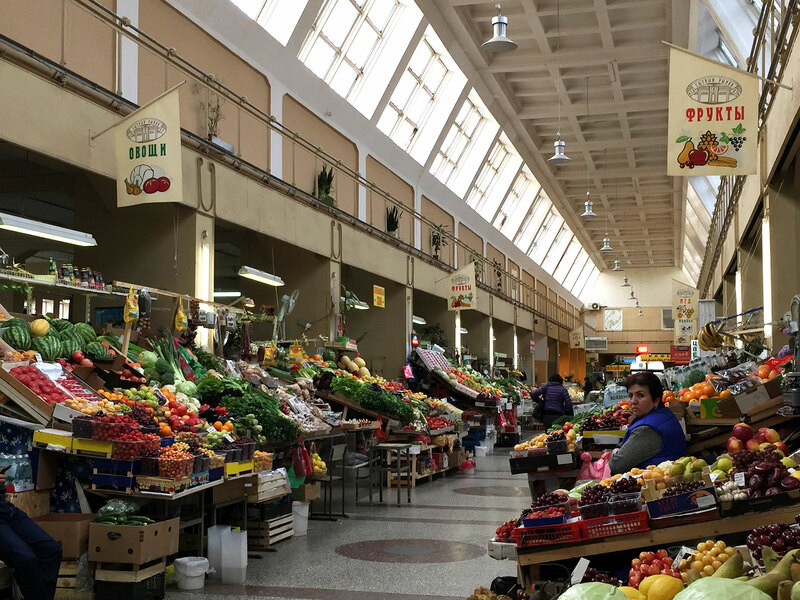 Get a private tour of this local market with Alexander and discover traditional ingredients used in Russian cooking. Notes: Alexander can prepare vegan meals as well. We had a lovely morning with Alexander and his wife. 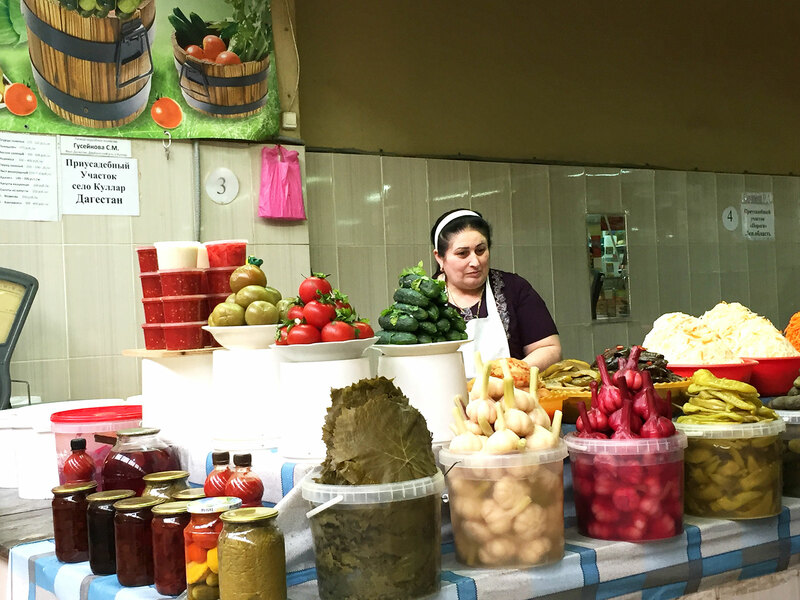 The market tour together with walking around the city gave us an excellent opportunity to learn about local food and customs. After walking around we went to the host couple's home where they casually prepared us a wonderful Russian meal. The atmosphere was just like visiting old friends. We chatted about various aspects of Russian food culture and thoroughly enjoyed the experience. This is a highly recommended way to get a truly local experience. Before leaving we got a ton of restaurant tips and a reservation for the same evening to a really authentic restaurant where we would never have been able to go otherwise. Thank you! 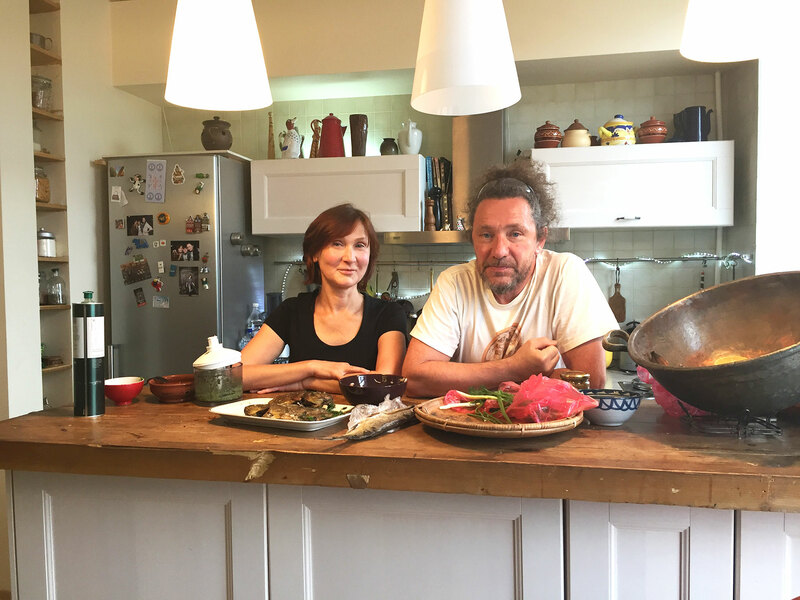 We spent a delightful few hours watching Alexander and Irina prepare an authentic meal and then sharing their unique food and warm company. We recommend this experience for anyone wanting to connect with real people! 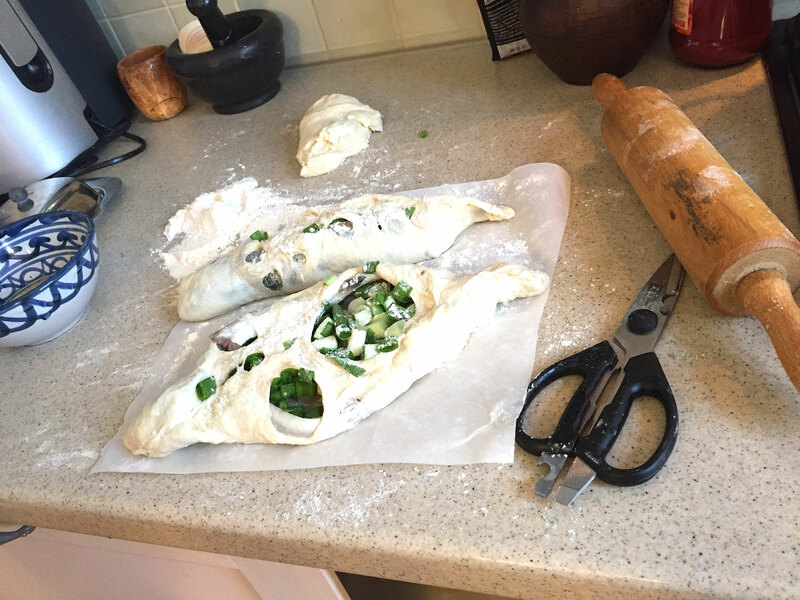 Alex and his wife are genuine, down to earth people who can offer a great introduction to both traditional Russian cuisine and lesser-known regional specialties. 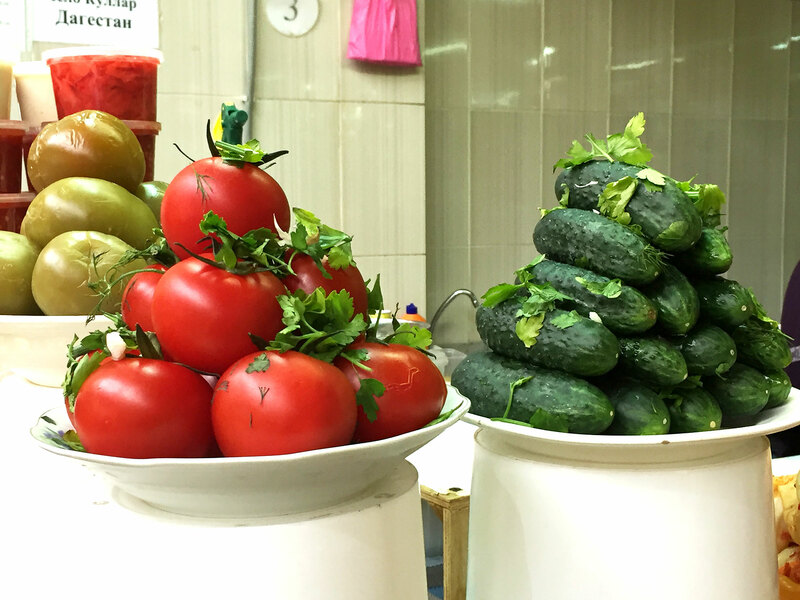 The tour of the market was great because we got to see a variety of pickled side dishes (commonly known as 'zakuska') on offer, and we were able to choose some of these to accompany our meal. The hosts' home is beautifully decorated and offers the perfect ambiance for a lunch or dinner, with an open-space kitchen that makes it easy to interact with them as they prepare the dishes. 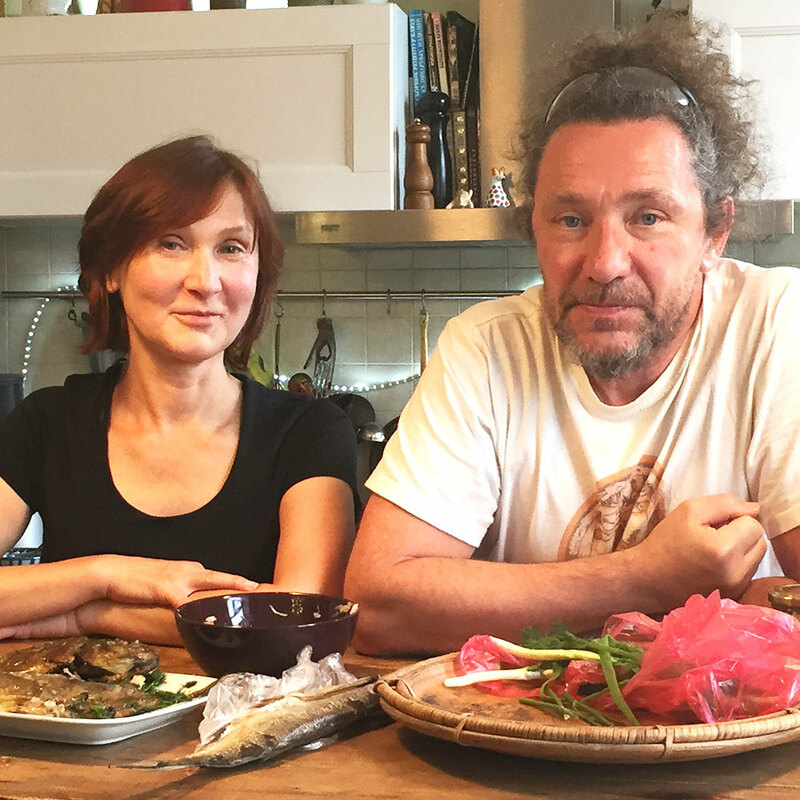 More than just a meal, the experience with Alexander and his wife is an immersion into Russian culture and history. They are both well-traveled and speak excellent English, so we were able to ask lots of questions and had great conversation throughout the experience. The host was always quick at communicating with us prior to the meal, and we appreciated his flexibility in adapting the menu to suit our dietary needs. Travelers to St. Petersburg are definitely in for a treat with these hosts!